The library will be closed on Friday, May 16, 2014 for staff in-service. Books and other library materials may still be returned in the outside drop during that time. The library will resume regular hours on Saturday, May 17. 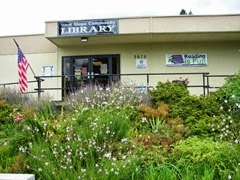 Find West Slope Library's normal operating hours and contact information on the WCCLS website.